Toronto Maple Leafs' top prospect Auston Matthews had a historic NHL debut Wednesday night but fans won't be able to wear his official jersey for another 48 hours. Fear not Leafs fans. Official Auston Matthews jerseys are expected to be available for sale in the next 48 hours. Hockey action opened Wednesday night with the Leafs top prospect making a historic four-goal NHL debut. Unfortunately for his supporters, none of them could rock his official jersey to the game. Want to buy Auston Matthews jersey? You'll have to customize it. None ready to go on the official NHL store. I'm sure that will change. NHL Players' Association spokesman Jonathan Weatherdon told ESPN that a player's name and image cannot be used until that player has technically made the team and signed the group licensing agreement. While there's no confirmation of Matthews signing the licensing agreement, in anticipation of the high demand, Weatherdon said the union has had discussions with his representation and doesn't anticipate an issue. The move couldn't come soon enough with fans champing at the bit to get their hands on a No. 34 jersey. What are the chances that Auston Matthews has the best selling jersey in the league this season? So why were Connor McDavid jerseys available well before the start of last season? The Edmonton Oilers gave McDavid his number immediately and said he had made the team, whereas Matthews was not given his number until the end of September. 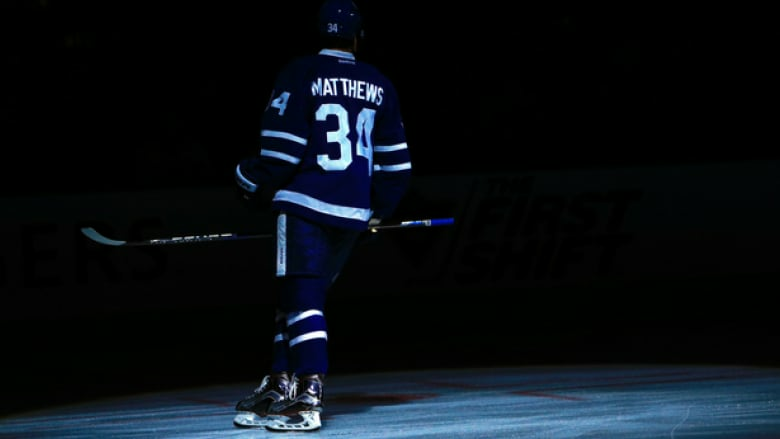 Will you be buying an Auston Matthews jersey? Let us know in our poll.